The honored Breton royalty of the last three thousand years has been buried at the great cemetery of Cath Bedraud. But occasionally there has been a king or queen whom it seemed more appropriate to bury … elsewhere. Spaces are reserved for these unsavory rulers in the Tomb of Lost Kings. The Tomb of Lost Kings is a crypt in northeastern Glenumbra, south of Crosswych. 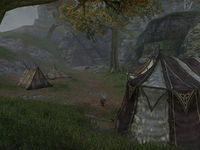 Lady Laurent's Excavation camp is located outside the entrance. 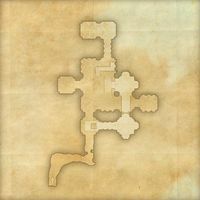 Tomb of Lost Kings Objective: Help Lady Laurent retrieve a relic from the ancient tomb.